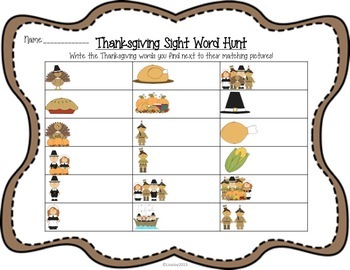 Thanksgiving Sight Word Hunt! 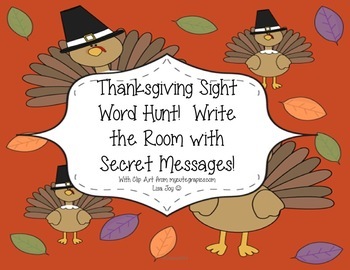 Write the Room with Secret Messages! First, I would recommend laminating the word cards for durability. Then cut the cards and hide them around the classroom. 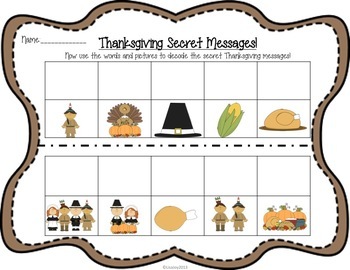 I usually give my students clip boards or hard writing surfaces and have them “hunt” around the room for the cards. When they find a word they will record it next to the matching Thanksgiving picture on the recording sheet. 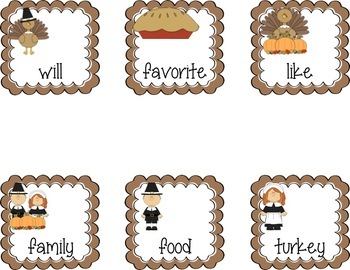 sight words at the same time! Have fun!